The 111th OVI has been a member of the North-South Skirmish Association (N-SSA) for over 30 years. We are the 24th most senior unit in the N-SSA competing in the Northwest Territory (NWT) and based in the greater Toledo, Ohio area. Current members come from Ohio and Michigan. In addition to competing in the N-SSA for over 40 years, the 111th OVI has hosted a skirmish for just as long; most being hosted near Defiance, Ohio. In the early years, the skirmishes were hosted near Tiffin Ohio but in 1965, was moved to Auglaize Village just outside of Defiance. In 1987, the skirmish was moved to its present location at the Defiance County Law Enforcement Association range. The annual 111th event draws teams from over 5 regions and is one of the larger skirmishes held outside of the nationals; with over 30 teams competing. May 1863, assigned to 2nd Brigade, 2nd Division, 3rd Army Corps and joined in the pursuit of Morgan into Indiana. Served the remainder of 1863 in Kentucky and Tennessee. 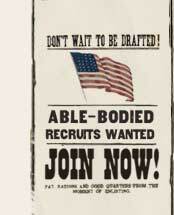 In 1864, formed a part of Sherman's Army in Georgia. November and December 1864, pursued Hood through Tennessee. Fought in the battle of Franklin, Tennessee. February 1865, rejoined Sherman in North Carolina. Mustered out at Salisbury North Carolina on June 27, 1865 with 401 men. Two-time Class A-1 National Musket Champions winning the 117th and 120th Nationals. 1st place class A-2 musket team at the 1997 Fall National Championships. 4th place class B-2 musket team at the 1997 Fall National Championships. 3rd place class 2 carbine team at the 1997 Fall National Championships. 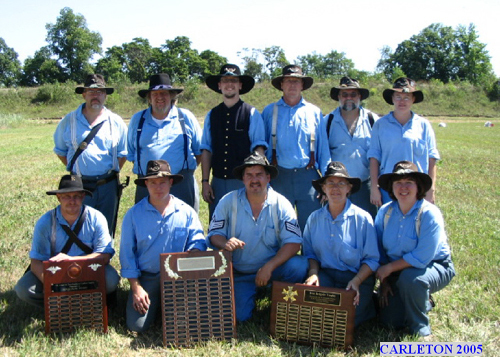 Six straight years as Regional Carbine and Musket Champion.